On the Piano Panel we talk about everything around the piano! Software, Pianos, Technique and more! 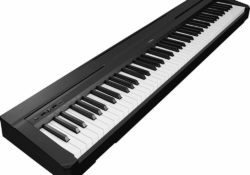 Posted on January 16, 2018 by Leon W.
Yamaha p45 vs p71 – Which is the best? Synthesia Review: Is it actually helpful? Micah blake on Synthesia Review: Is it actually helpful? Leon W. on Yamaha p45 vs p71 – Which is the best? Cari on Yamaha p45 vs p71 – Which is the best? john-karr on Yamaha p45 vs p71 – Which is the best? © 2019 PianoPanel. All rights reserved.